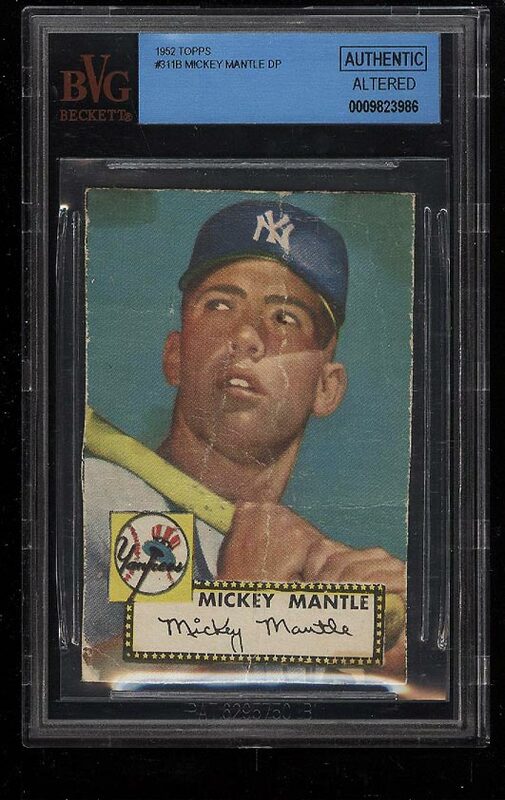 **Auction #9, Round 2** Exceedingly popular Mantle production in any condition. The offered specimen has been heavily trimmed along all four edges. The card also has pen mark in his right eye and paper loss on the reverse. Worthy of consideration. 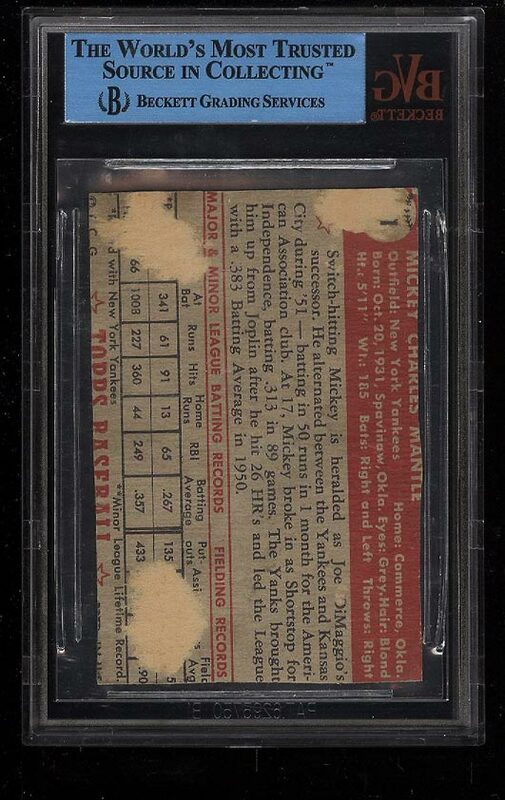 One of over 15,000 cards, lots and sets up for bid in our 9th Auction of 2017. Click on the link above to view the other PWCC auction lots.